Here’s my take on a lamb burger first. 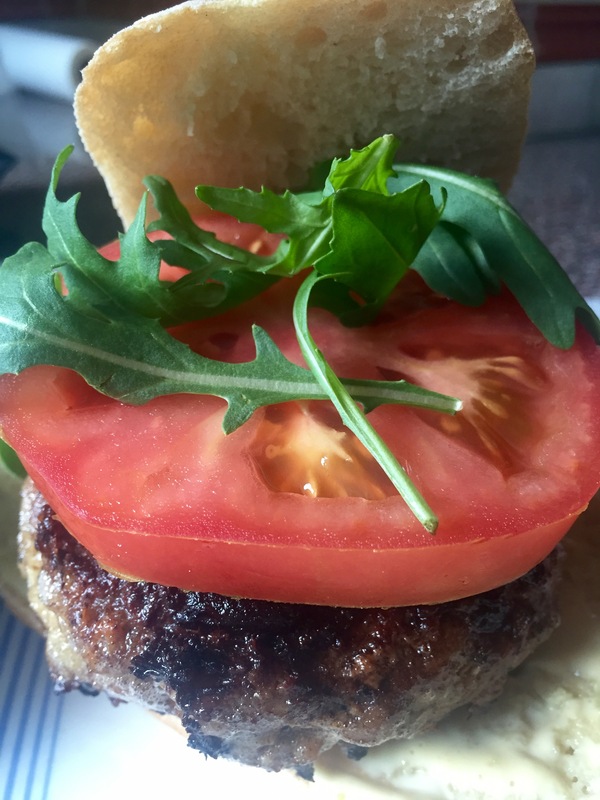 I was thinking about putting a different twist on a cheeseburger and came up with the idea of stuffing the burger with a herby goat’s cheese mixture. And that got me to thinking of French flavours which is when I added the Dijon mustard mayo. Along with a large, juicy slice of tomato and a handful of rocket, this is a splendidly mouth-watering combination. The cheese mix keeps the meat beautifully moist and is a lovely surprise when you slice your burger open. 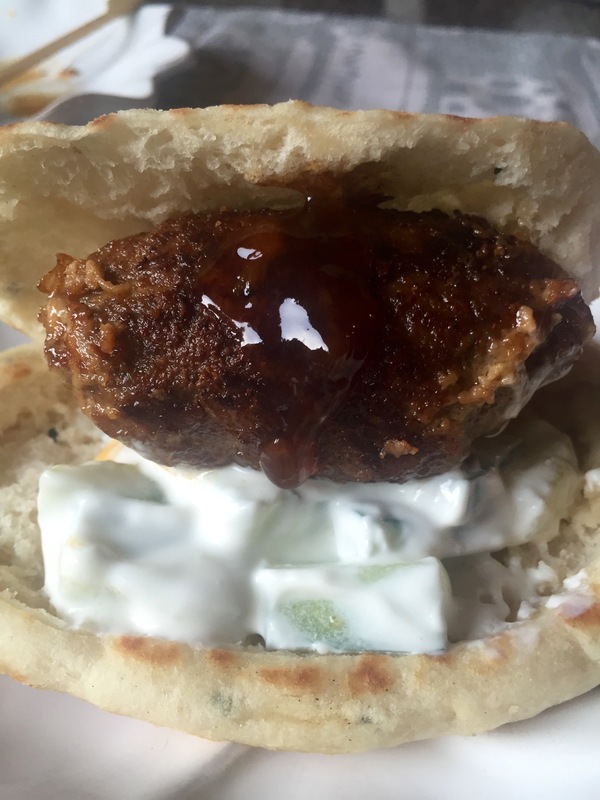 Don’t forget to read on for my spiced kofta kebab recipe with a special secret ingredient. Mix the cooked onion, lamb, egg, breadcrumbs, garlic, salt and pepper together thoroughly. Divide into four and roll into balls. Cover and refrigerate until ready to use. Mix the goat’s cheese, basil and oregano together thoroughly. Cover and chill for five mins. When you’re ready to cook, make an indentation in the centre of the lamb ball with your finger (making sure not to pierce the other side). Fill it with a large teaspoon of the goat’s cheese and then make a meatball again around the filling. Flatten it to make a burger. Heat the remaining oil and cook for 10 mins on each side until nicely browned. Spread a halved ciabatta roll with a mix of half mayonnaise, half Dijon mustard. Place the burger on top and add a large slice of tomato and a handful of rocket. Serve immediately. One of my favourite South African dishes is called bobotie. You can find my recipe for it by clicking here. It’s a kind of lamb mince bake with spices, fruit, eggs and cream added and is truly delicious. So I thought I’d try to produce something similar in the form of a kofta kebab. My special ingredient is the marmalade – make sure you use a chunky one, I used Hartley’s Olde English thick cut marmalade. It adds a lovely sweetness and balance to the spice and really brings out all the flavours. I’ve served it here in a warmed mini naan bread – but these tasty little kebabs would work just as well with a salad or vegetable dish or served as snacks. How’s that for versatile?! Fry the onion for about 10 minutes until softened. 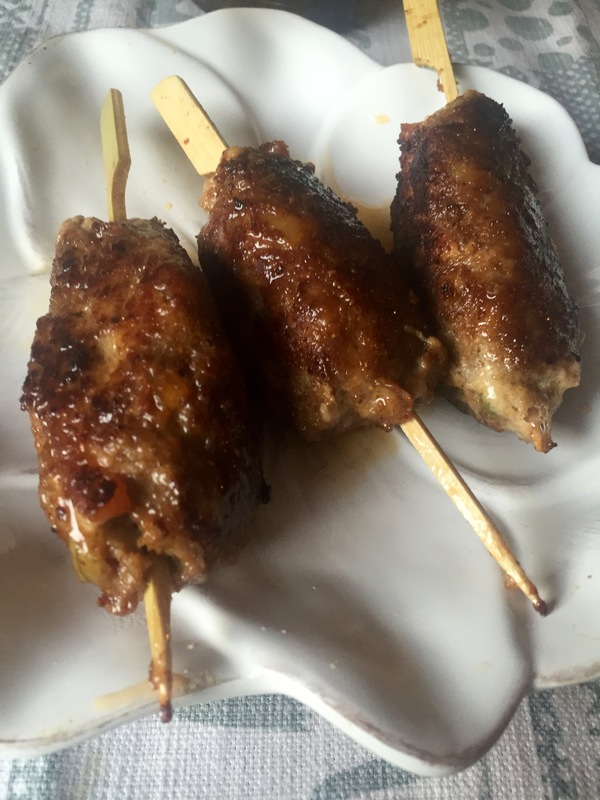 Shape the mince into sausage shapes on small skewers. Heat the oil in a pan and fry the koftas for around 15 minutes turning regularly to make sure they are evenly cooked. Spread a dollop of cucumber raita inside a mini naan bread. 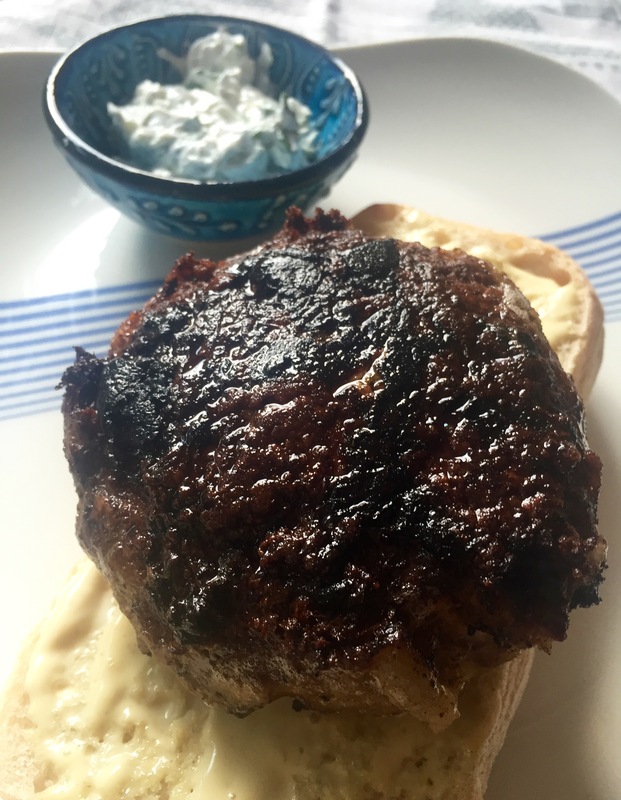 Slide the kofta off its skewer, place on top of the raita. Add a dollop of chutney and serve. 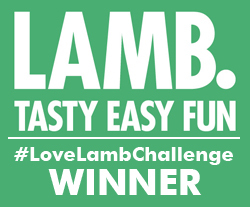 Do you have a favourite recipe using lamb mince? Or any other cut of lamb for that matter? I’d love to hear about it, so do get in touch. They are delicious, the burger is the best ever!